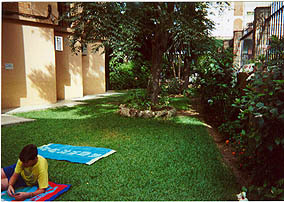 The apartment is central to all amenities, shops, market, church, less than 10 minutes walk from the beach. It is located in a very residential area with a well cared for garden and swimming pool, and beside the old part of 'Los Boliches' fishing village, with low buildings and pedestrian streets. Near all amenities, golf clubs, lots of restaurants, etc. About 'Los Boliches' Los Boliches is a small fishing village 20 minutes from Malaga, connected by an efficient train service, which you can get 5 minutes walk from the apartment. The same train takes you to the airport. 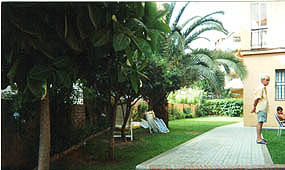 Connected to Fuengirola There is a beautiful Paseo Maritimo along the beach stretching from Los Boliches right up to the other end of well known Fuengirola, where you can find more restaurants, cafes, bars, yacht club, fishing port, commercial centers such as Dunnes Stores, golf clubs, etc.. Apartment just renewed The apartment has been completely renovated. 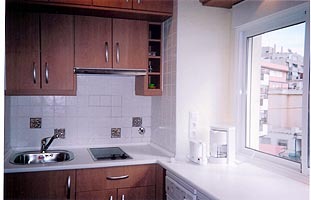 There is a new kitchen with all the facilities, including dishwasher, and fridge-freezer. There is a new sofa-bed in the living room and a queen sized double bed, and a new wardrobe in the bedroom. 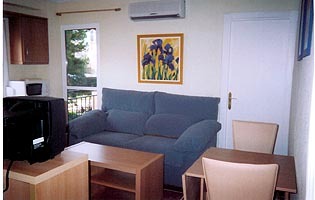 Air conditioning, central heating and satellite TV (Sky TV free channels) have also been installed. Entertainment: satellite TV ( free Sky Channels). Outside: balcony , garden, parking, swimming pool. The balcony overlooks pool. Nearest railway station: Coastal electric train to Malaga and airport at 0.5 miles. 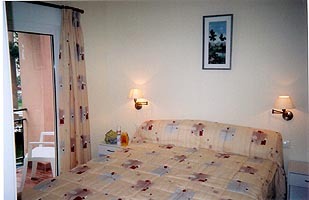 Prices are per week in euros (2 people). 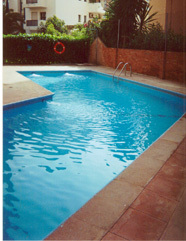 For rentals of one week or less, there is a cleaning fee of 30 Euros, to be paid to local agency.